Historic Preservation Systems from IBIX® are the only low pressure, micro-air abrasion systems for cleaning a wide range of precious historic and cultural assets. Perfect for restoring delicate structures, historic assets, statues, antiques and furniture, our units effectively remove lime scale from foundations, graffiti from buildings and dirt & grime from virtually any surface. IBIX Historic Preservation Systems work exceptionally well on brick, wood, copper, cast and wrought iron, stone, marble, concrete and even extremely fragile surfaces such as travertine and glass. 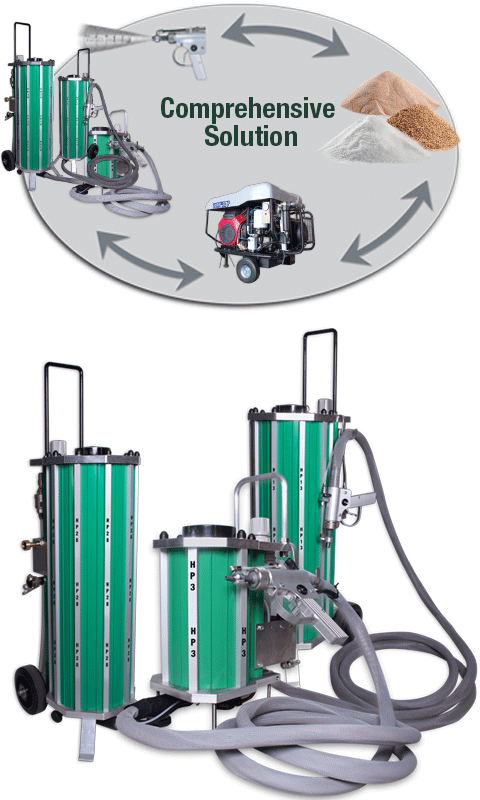 Incorporating HP Vortex Rotational Technology, the patented HELIX® Gun uses a gentle, helical rotary movement considerably reducing the volume of air and medium required to cover the same surface area as traditional blast equipment. This maximizes the effectiveness while minimizing damage to delicate surfaces. These systems are available in three (3) different sizes (HP3 / HP13 / HP28) and are versatile, economical and lightweight with dual action wet/dry technology. LEED Architect of the Capitol: Washington, D.C.